Rafa Benitez hints NUFC star could play for Man City…but only on one condition – NUFC blog – Newcastle United blog – NUFC Fixtures, News and Forum. 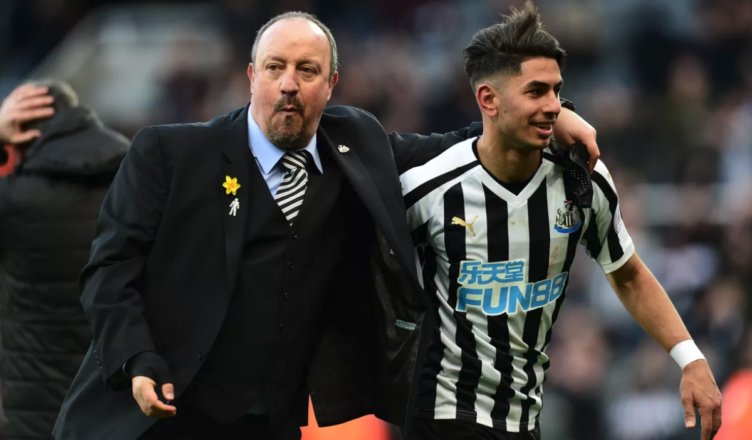 Rafa Benitez believes Ayoze Perez has the ability to play for one of the Premier League’s top sides – claiming he could’ve been at Man City if he could only add ‘consistency’ to his game. This comes after the Spaniard’s brilliant goal on Friday night, with Ayoze’s sublime flicked header being enough to give us all three points on a night where he showed just how good he can be when he fancies it. “To be fair last season he scored eights goals and you can see he has the ability to a lot of time the right thing but sometimes he needs to be little more consistent. If not, maybe he’d be playing for Manchester City already. Love him or hate him (it baffles me that some still slate him! ), he’s been an absolute bargain at £1.5m and a player who’s served the club well over the past few seasons – looking better than some expected after arriving from Spain, playing a big part in our promotion season and scoring 17 goals in our last two seasons. Recent interviews have suggested that his time on Tyneside may be coming to an end, but it would be a shame if certain fans only appreciated what he does in this side once he’s left. He’s not a world beater, but attacking players who work hard, score big goals and takes up intelligent positions at both ends of the field are hard to come by. First of all – Perez is consistent. Since signing in 2014 he’s played between 33 and and 36 games each season, scoring between 6 and 9 goals in the league, which included only 9 goals in the Championship. He’s the most consistent player in our squad. Shola, while not so consistent, managed 10 in 18 games in the Championship, and in the prem he managed 7 in 26 games , 9 in 30 and 6 in 28. I think that as we are so bad at the moment we are desperate for any goal scorer, but we need to remember that Perez is no better than Shola was, and Shola was a joke.